Moroccan poet; lived in the second half of the eighteenth century. 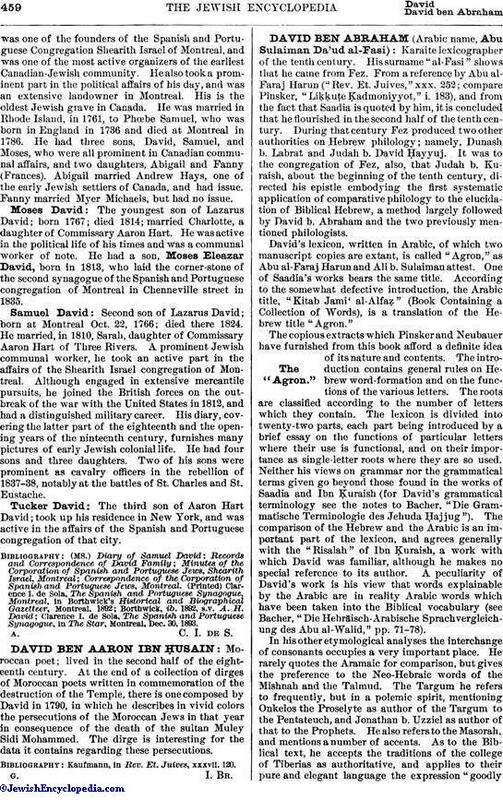 At the end of a collection of dirges of Moroccan poets written in commemoration of the destruction of the Temple, there is one composed by David in 1790, in which he describes in vivid colors the persecutions of the Moroccan Jews in that year in consequence of the death of the sultan Muley Sidi Mohammed. The dirge is interesting for the data it contains regarding these persecutions. Kaufmann, in Rev. Et. Juives, xxxvii. 120.